No objection letter is provided by Ministry Of Education (MoE) situated at Keshar Mahal. Only after having no objection letter from MoE, students can pay their university fee. There are certain documents that are needed during the time of issuing no objection letter from MoE such as photocopy of citizenship, photocopy of transcript, photocopy of acceptance letter from university such as i-20/ offer letter and need to show original documents too. If students cannot submit original documents than need to submit notarized photocopy. Only Ministry of Education issues no objection letter from Keshar Mahal, Kathmandu, Nepal. First of all students need to fill application form i.e distributed from 10 a.m – 12 p.m from window 2(a) and application form and document verification is done by window 2(b).� Students must deposit 2000 rupees for No Objection Letter at the Bank counter in MOE at window 1 by filling the form. Then application is registered at 3 numbered window and from there token number is given to students. 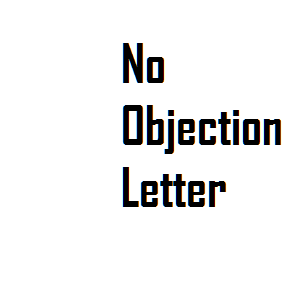 How to apply No objection letter in Nepal? Students who submit form by 12 PM will get their No Objection Letter on the respective day. Students submitting form after 12 PM will get on the next day morning only. No Objection Letter is distributed from 6 numbered window and students are called by their token number. There is long queue for making no objection letter. It is one of the essential document to get entry is the university in any aboard country. Students get two No Objection Letter one for student and another for bank.